Obsessional thoughts are not like normal thoughts. They intrude into the mind, apparently from nowhere, causing sudden distress or discomfort and often a strong desire to escape from them. Obsessional thinking is common in many different mental health conditions, particularly anxiety disorders. It’s the main component of obsessive compulsive disorder or OCD, where the thought (obsession) drives the sufferer to perform rituals (compulsions) to try to ‘neutralise’ the threat posed by that thought. These might include checking memories, reviewing events, or more obvious behaviours like cleaning, touching, or saying comforting phrases. High levels of anxiety or stress appear to prompt more activity in the part of the brain that’s responsible for producing threatening scenarios or ideas. The same stress also reduces the ability of the counteracting part of the brain to rationally dismiss these threats. Obsessional thinking therefore often becomes a vicious cycle, where one thought increases anxiety and produces further thoughts that provoke further anxiety. Whilst stress may be a factor, some people are more prone to experiencing obsessive thoughts. Some have brief periods of struggle with obsessional thinking, while others might find their problems are harder to shake off. 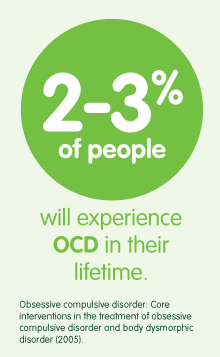 OCD as a disorder is chronic, meaning that while a person may get their condition under control, they always need to guard against future relapses. Obsessional thinking can be addressed, but the best treatments provide strategies for dealing with obsessional thoughts when they happen. Learning to move the mind past the content of the obsession (however horrible) is a key part of recovery, along with a willingness to accept that they are just thoughts. Medication can be very effective in reducing the intensity of obsessional thoughts, helping the sufferer overcome the desire to use a compulsion. However, on its own, discontinuation nearly always leads to relapse within two or three months. This is why a combination of medication and cognitive therapy (exposure and response prevention) is a better approach. Some individuals find mindfulness-based techniques beneficial, while support groups are extremely comforting and encouraging for many – not least because there is a significant amount of shame and secrecy involved in obsessional thinking. 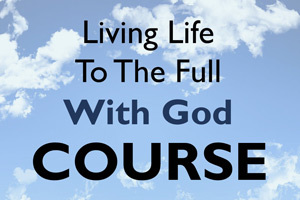 Faith can be highly problematic for people struggling with obsessional thinking. OCD often latches onto the things a person holds most dear: this means they can obsess about whether they are saved, whether they have committed the ‘unforgivable sin’, or blasphemed in some way. Some suffer from intrusive images that may be religious and explicit, causing extreme anxiety and discomfort. At the same time, faith can be a huge comfort. Knowledge of the love of God, and his presence, even in shame or anxiety-filled thoughts, is a great relief. People typically do better when they can get away from the idea that they have to censor their world for God and instead know that God has seen it all before. Obsessives also grow in confidence when they realise that it’s their intentions, rather than their thoughts, that are a better indicator of their character. By far and away the least helpful biblical passage to offer someone struggling with obsessive thinking is 2 Corinthians 10:5: ‘we take captive every thought to make it obedient to Christ’. Leaders should never encourage this approach with a person struggling with OCD, since it is guaranteed to enslave them. Instead we suggest that ‘taking thoughts captive’ for the obsessional thinker is ‘letting them float past without engagement’. This keeps the individual from repeating the vicious cycle of neutralising behaviour that keeps OCD alive.